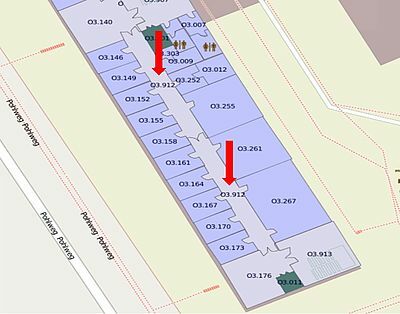 The offices of the Computer Networks Group are located in the O-Buildung on the 3rd floor, Pohlweg 51, D-33098 Paderborn. From A33 take the exit "Paderborn Zentrum" then follow the main road B64 towards Bad Driburg, exit at "Universität Paderborn" and drive straight ahead on Warburger Straße until you reach a bigger intersection. Turn left there and then right at the next intersection into Pohlweg. 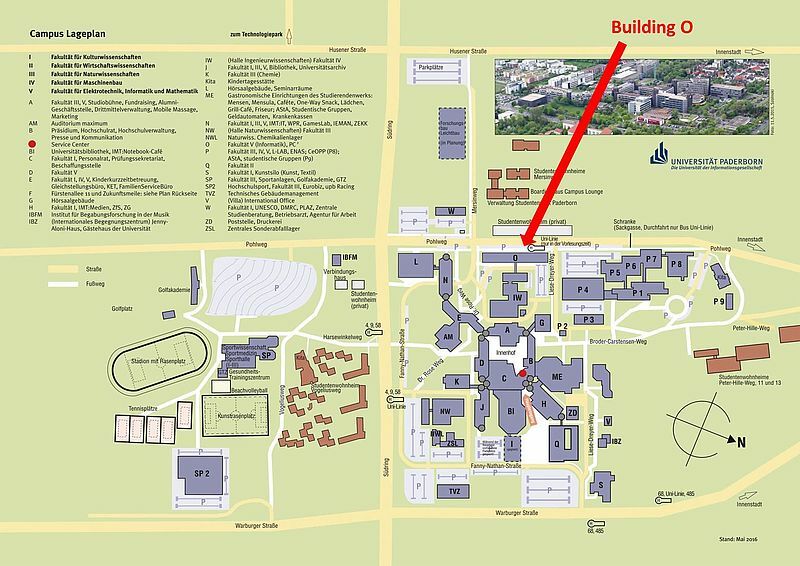 Building O is on the right side; there are many parking spots around. You can use either the main station "Paderborn Hbf" or "Kasseler Tor" (served by the line to Bielefeld). From "Kasseler Tor", it is a 15 minute walk uphill or a short bus ride to bus stop "Schönen Aussicht". 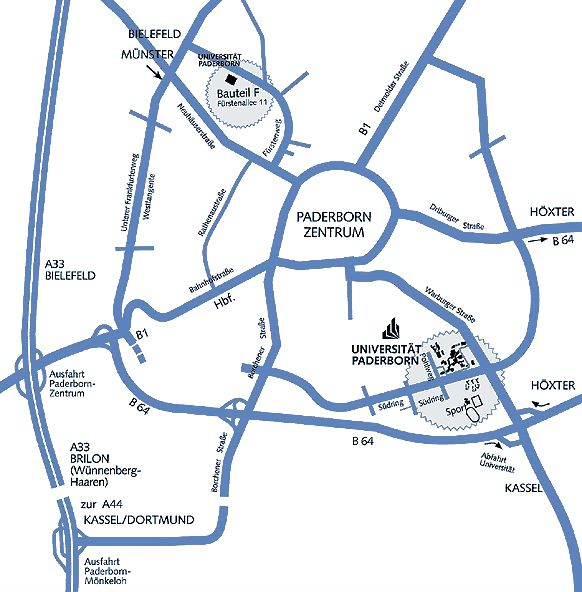 From the main station "Paderborn Hbf" you can take a bus to the University. Use either bus line no. 9 towards "Kaukenberg" or bus line no. 4 towards "Dahl". Leave the bus at "Südring/Uni". From either of these stops, it is only a short walk to our building. During the semester, you can also use bus line "Universität" from the main station. This line stops directly in front of our building, but it only runs infrequently. The nearest airport is Paderborn/Lippstadt Airport (airport code: PAD). You can use a taxi - total journey time 30 minutes, approx. 35 Euro. Alternatively you can take the express line bus S60 (journey time: 20 minutes) or bus No. 460 (journey time: 30 minutes) towards main station "Paderborn Hauptbahnhof". One way ticket for 6,60 EUR. The Bus stop is in front of the Arrival Terminal. Please see the time table. From the main station you can take a bus or a taxi (please see: how to reach us by train). 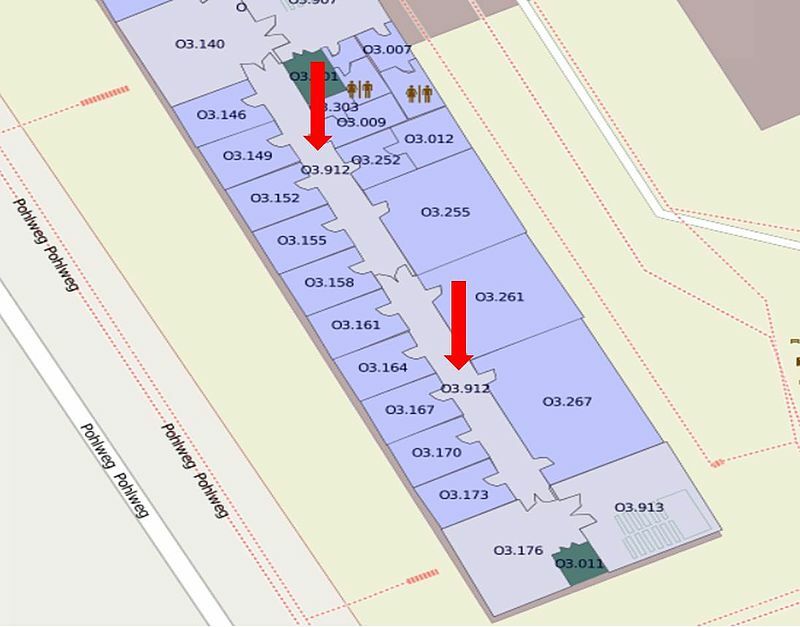 The main alternative airport is Düsseldorf (airport code: DUS), which is connected to Paderborn main station at least once an hour, the ride is about 2 hours 10 minutes, sometimes with the need to connect in Hamm, sometimes with direct trains. Other airports (Hannover HAJ, Dortmund DTM, or Cologne CGN) are considerably less convenient.